i first got in touch with property of at a fashion trade fair, where i was looking for cool brands to write about. 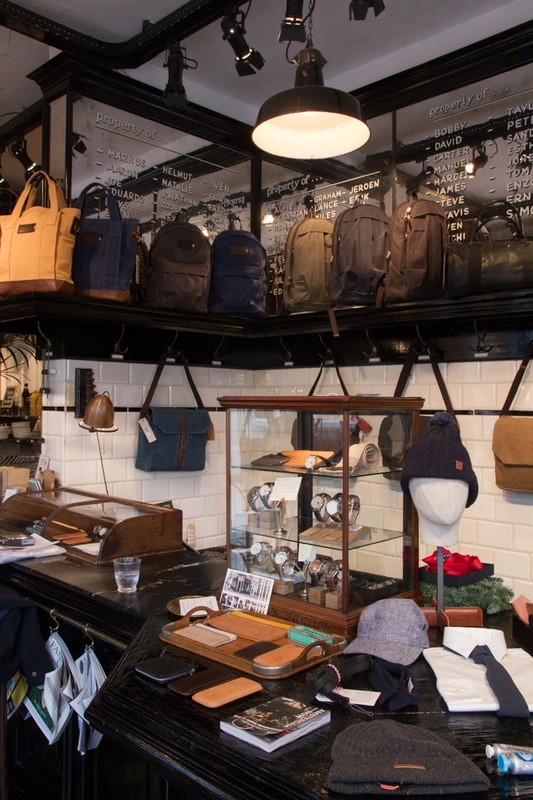 this one certainly ticked off all the right boxes – rugged look, cool bags, nice branding and interesting story. 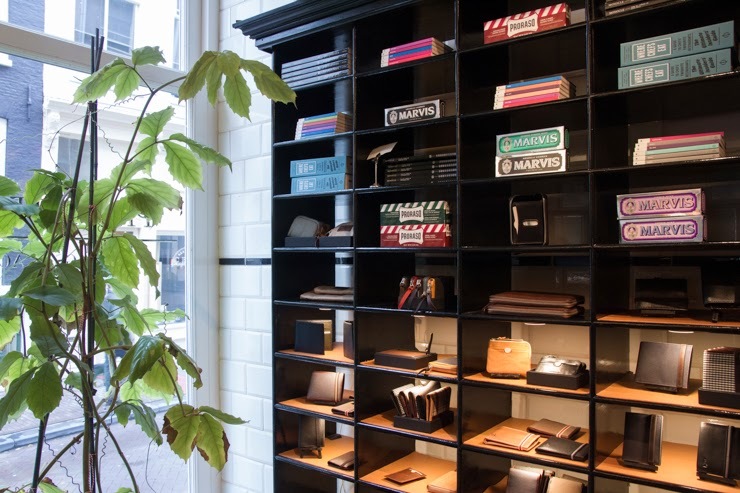 when they opened up their flagship store in amsterdam, i made a mental note to visit next time i’d be in town. i’m normally not a big fan of flagships, as they can feel too branded, too clean and a little impersonal. but every now and then a label gets it right and presents its universe – not limiting itself to its own products, but including all the things that provide inspiration, context and atmosphere. 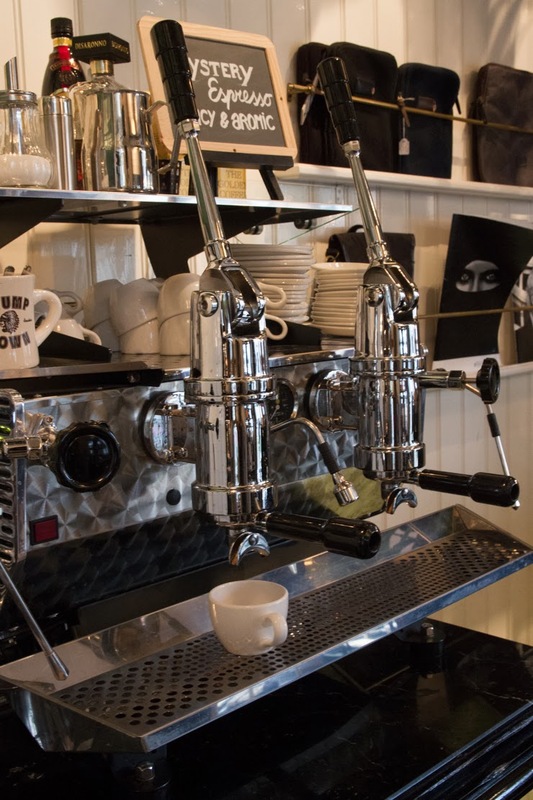 sure enough, the minute i walked into the property of store, i was offered a cup of specialty coffee, and i was excited to see a beautiful mirage machine lurking in a cosy corner. it led me to discover a semi-hidden cupboard stuffed with italian products (the branding of which i’ve raved about before), and a counter display with some seriously cool books (where chefs eat has been on my wish list for the longest time) and rad office supplies. 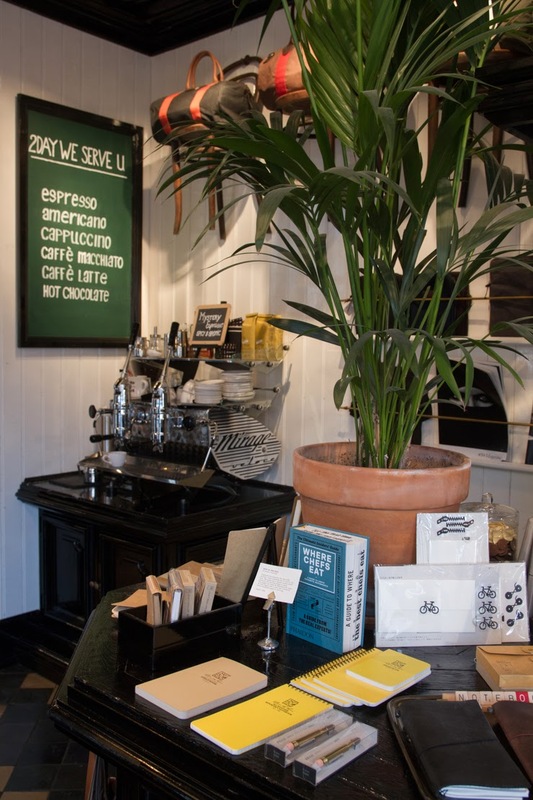 it’s tempting to leave the store with a new bag in hand, filled with brand new goodies, but you’re just as welcome to enjoy an espresso and leaf through the papers at the counter bar.